Keeping your backyard swimming pool clean and safe requires the use of a number of different chemicals. While these chemicals are perfectly safe when used properly, as with any chemical it’s important to handle and use them safely and properly. Misuse of pool chemicals can result in burns, rashes, and other health issues. That’s why it’s always a good idea to leave the handling of pool chemicals to the professionals, such as the experienced pool technicians at Eagle Pool Service. Swimming pool chemicals typically include various types of disinfectants and sanitizers. These chemicals control the growth of certain types of algae and bacteria that can grow in pool water if not monitored and eradicated. The same chemicals are frequently used in hot tubs, spas, wading pools, and whirlpool baths. Most of the disinfectants and sanitizers used to maintain pools are based on chlorine. This chlorine usually comes from “chlorinating agents”, which release chlorine as these agents are dissolved into the water. In larger pools, such as those at country clubs or public pools, chlorine gas if often used. Oxidizing materials, such as those sometimes used to keep pools clean and safe, can present a severe fire and explosion hazard when not handled properly. Other types of pool chemicals can be corrosives that can attack and chemically destroy body tissues on contact. Some corrosives can actually eat through metal. Handling pool cleaning chemicals properly requires training, knowledge, and experience. That’s why it’s always a good idea to leave the cleaning and maintenance of your backyard swimming pool to professionals, like the veteran technicians at Eagle Pool Service. 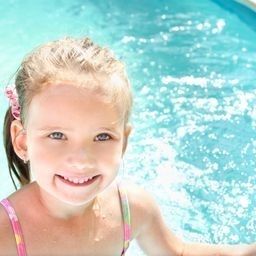 Our job is to keep your pool safe for you and your family so you can enjoy your pool safely.